I don't know about you, but this Winter I am absolutely determined to get through without a nasty bout of the flu or getting run down. So I am watching what I eat (everything in moderation, right?! ), trying to be good with my exercise and looking for ways to feel and look better. Since being introduced to Coconut Oil earlier this year, I have been readily using this amazing ingredient in recipes, as an oil for cooking and in my smoothies. However I just cannot handle a spoonful of this stuff straight up, no matter how wonderful I know it is for me! So I was absolutely ecstatic when I saw the new product from Coconut Health & Healing - Coconut Oil Capsules - genius!! Now you can get all of the nutrients of the coconut oil, but in a convenient and easy to swallow format - gotta love that! Sounds too good to be true doesn't it?! But the results speak for themselves and at only $25.95 (including P&H), I am definitely going to be giving these a try this Winter. The good news is that one of you will also be trying these too - for free!! The lovely Amy from Coconut Health & Healing is offering up this amazing product for one lucky reader. The giveaway will start this week on the blog - so stay tuned! To order or for more information, pop over and visit Coconut Health & Healing here. If you are yet to discover Amy's blog or Facebook Page, it is full of inspirational recipes, lifestyle and wellness advice. Definitely one to bookmark in your Internet favs. 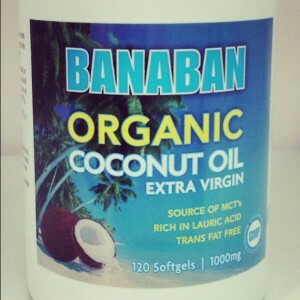 Are you a fan of Coconut Oil? Love to hear what you make or do at your place with it.